Please join us for a night of art and theater in the SoWa area of Boston’s South End co-hosted by a local LSE alum! 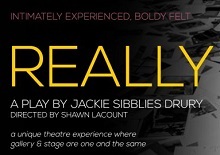 Matter & Light Fine Art and Gallery Kayafas are collaborating to host Company One Theater’s production of Jackie Sibblies Drury’s Really. We will be meeting at Gallery Kayafas starting at 6:15pm and moving downstairs to Matter & Light for the performance at 7pm. A cash bar will be available at Gallery Kayafas. After the performance, we’ll move to a local bar/restaurant TBD. Tickets are discounted to LSE alumni at $28.50 and are currently limited in supply at this price. For more information, please see the following press release (click here).